Are you worried children will be bored by stories of events that took pace ages ago? A little self-conscious that you might start to sound like an old person, a know-it-all? You wouldn’t be the first parent or grown up stuck with the challenge of making history sound, well, current for children. Talking about war is an even trickier proposition. Trust in your child’s intelligence, imagination and empathy. Then do some research, because the facts are already written. Then, all you have to do is tell the story in a way that relates to here and now. Take for instance, the story of Momčilo Gavrić (pronounced, Momchillo Gavrich), the youngest soldier in the First World War, which started one hundred hers ago in July, 1914. He was the eighth child of eleven. His mum and dad were Alimpije and Jelena Gavrić. With 10 brothers and sisters, imagine the house they all lived in. Life must have been quite full and loud and happy. In the middle of summer, August 1914, one hundred years ago, Austro-Hungarian soldiers attacked. His dad, mom, grandmother, his three sisters, and four of his brothers were killed. The happy house was burnt to the ground. Momčilo was at his uncle’s house at the time. His life changed forever. Momčilo found the Serbian army nearby and told them what had happened. 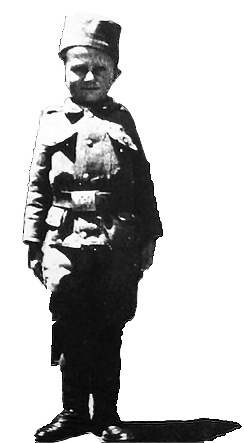 The soldier in charge, Major Stevan Tucović, ordered someone in the unit to look after Momčilo, as he lead the unit to where the Austro-Hungarian soldiers were. When he was 10 years old, he was promoted to the rank of Corporal by his commander. The unit was sent to Thessaloniki, in Greece. Major Tucović sent him to Sorovits where he was sent to school for a while. Back in Serbia, the commander of the Serbian army was shocked when he saw an eleven year-old boy in uniform. Momčilo’s commander, Major Tucović told him the story; that the boy had been with them since the Battle of Cer, and that he had both been taught discipline and had even been wounded during his time in the unit. The commander promoted Momčilo again, to Lance Sergeant. He was sent to England and finished his education at Henry Wreight school in Faversham, Kent. In 1921 he went back to his country after Serbian Prime Minister Nikola Pašić ordered the return of all children to Serbia. Back in Trbušnica he found his three surviving brothers. He died in 1993 at the grand old age of 93. 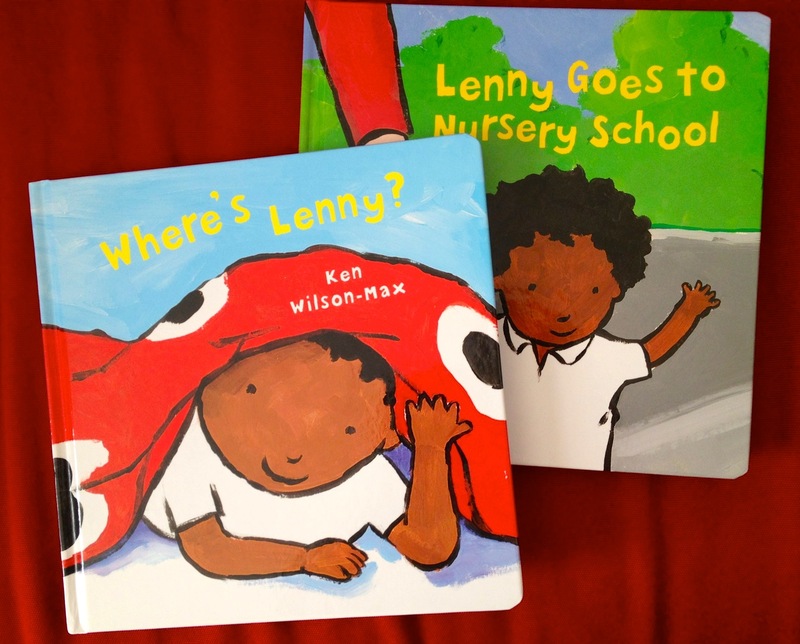 Lenny Goes to Nursery School Book Review – Our Verdict: A nice little book that can help you talk through starting nursery with your little one, including what he will do all day and how he can make friends and have fun. Quite simple and easy for children to understand and good pictures though it’s quite expensive. What can you do? You hear something like, I really love your books but this one is too expensive. Why is so pricey? You explain; all the expertise, time and hours that have gone in to making the book, the production in China, the… You realise that your fan has glazed over, dipped out, you’ve lost him or her. 16 illustrations later, many other hands involved in the process, the publisher’s cut, the bookstore’s cut, the distributor’s cut, everyone has a cut of your £7.99 book. I sometimes think it’s hard to be published these days because so many people have to get paid. We don’t seem to have found a better way to do this publishing thing. On the other hand people will spend £30 on a poster, which is one piece of paper. I found that out when I offered the Nursery rhymes by hand as A3 prints. A larger profit margin than a book and less effort. Cheaper to print, store and ship. I haven’t seen many successful attempts at combining posters and books, i.e., one page books. I like the idea a lot. I’m going to give it a try. Hold on for Design Tribe Books, coming your way soon. I’ll be posting more information over the coming weeks.